Think you’re having a bad day? 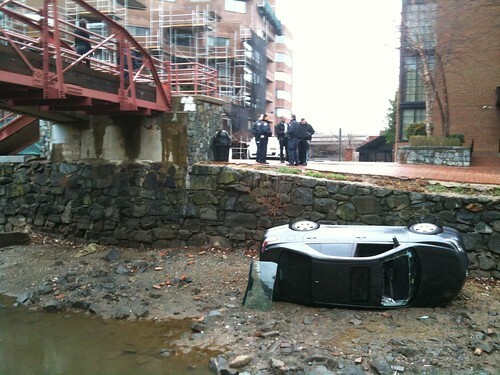 Not as bad as this driver, who got a little too excited and drove his Camry right into the C&O Canal. Police say that speed contributed to the accident. Relax, though, unlike last week’s jumper, this incident won’t be causing any apocalyptic traffic jams.